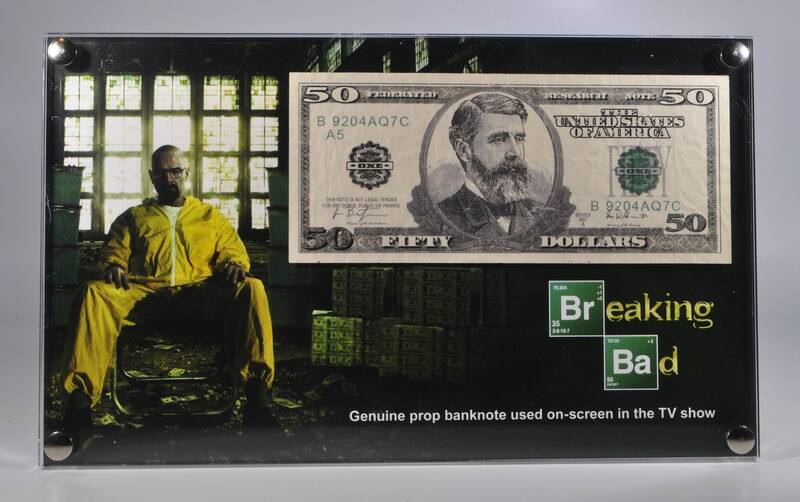 This is a custom acrylic display containing a genuine bank note (not legal tender, made for the show) screen used in the hit TV drama 'Breaking Bad'. The note is encased in our custom laser-cut acrylic frame with printed backing sheet and stainless steel fixings. The frame comes with our signed Reliquary certificate of authenticity detailing the source of the note encased in the rear of the frame.